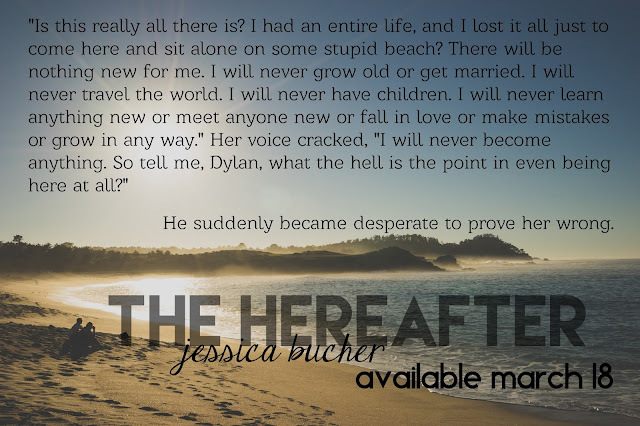 Today, I'm sharing the synopsis and a little teaser for The Hereafter! I have a lot of goodies signed up for this week. We have teasers, book trailers, and cover reveals coming your way, so stay tuned! But no dream lasts forever, and all too soon, harmful memories from their pasts emerge and threaten to tear them apart. Given the chance to change their fates, Nin and Dylan must decide-- life or love. Woohoo! Can you email me the link to your newsletter? It doesn't seem to be working for me above. Also, I'm sharing your teaser! Thanks for sharing here goodies on the hereafter synopsis reveal. I like your stories. Since I am a coursework writer and happily providing a world-class training with a solitary bit of custom coursework and Elite coursework help online to students at Elite Assignment UK but as a writer I love reading book and such kind of blogs which are helpful for me to increase knowledge as well as it is also valuable information to share with all teacher and educators of our consultancy.